Decorated with original illustrations from Thomas the Tank Engine. Egg cup fits neatly into a divot on the plate. 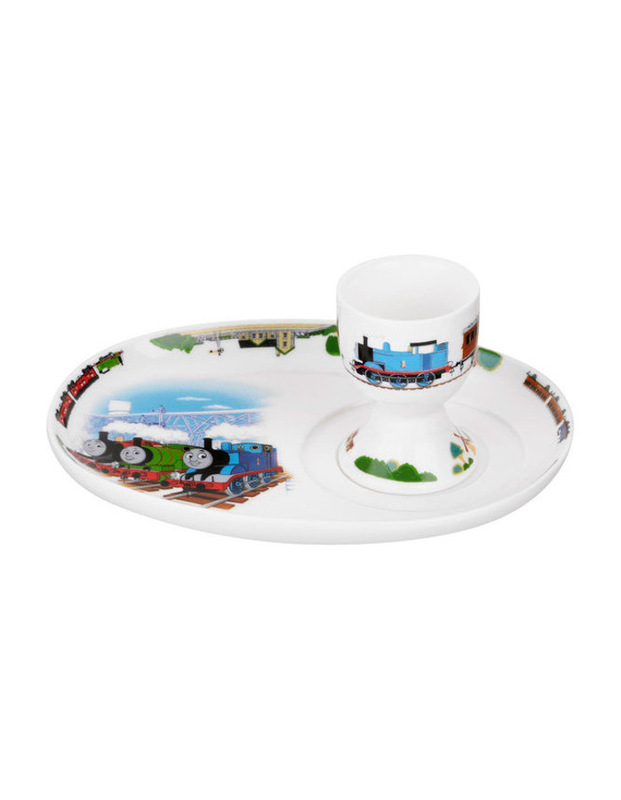 Beautifully presented in a Thomas & Friends gift box. Egg Cup 5cm (w) x 5cm (h) x 6.5cm (d). Plate 18cm (w) x 13.5cm (h).